An anachronism is something or someone that is out of place because they are set in the wrong time period. A curio is an object that is very old or unusual, and thus it is viewed as interesting. An incipient situation or quality is just beginning to appear or develop. Something that is nascent is just starting to develop and is expected to become stronger and bigger in time. An opus is an important piece of artistic work by a writer, painter, musician, etc. ; an opus can also be one in a series of numbered musical works by the same composer. The remnants of something are the small remaining parts of it after the main part has been used or destroyed. A vestige of something is a very small part that remains from a once larger whole. While on an archeological dig in Arizona, I found a number of Native-American artifacts, including old bowls, pots, and hammers. I love trying to imagine life by looking at artifacts from the past and puzzling over how a certain item could have been used. On a recent dig, I helped my professor find artifacts unlike any discovered before—these old objects helped shed new light on an ancient culture. Quiz: Try again! 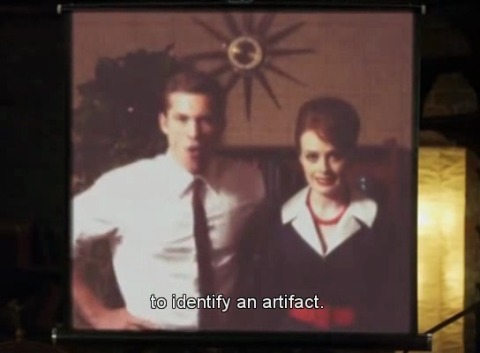 What is an artifact? A site at which scholars discover important information about past cultures. The beginning point at which one realizes what one wants to do in life. A human-made object created for a purpose that is usually from the distant past. An artifact is a weapon, tool, or piece of art that is created by human beings which is historically and culturally interesting. Artifact Proof It's a fact that the ancient civilization knew the art of weaponry, because I have a stone axe artifact to prove it. YouTube: Top 10 Unsolved Mysterious Ancient Artifacts The artifacts of Easter Island.